Lake Tyers is an ancient river system that has been flooded. There are two arms, the shorter one is Toorloo Arm and branches towards the North West and the much longer Nowa Nowa Arm that branches towards the North East. 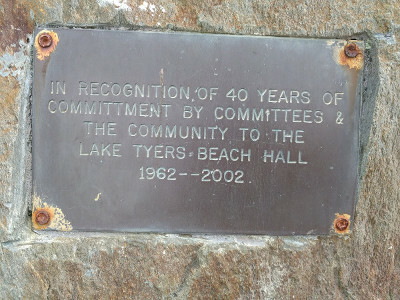 The Lake Tyers Beach Memorial Hall has been going since 1962 and supported by committees and community ever since. To contact the Committee to make a booking. The space is quite versatile and is opposite the Lake Tyers Beach Recreation Reserve. This area has children's playground equipment, BBQ's and toilets. There is also an oval and a BMX track adjacent to the playground. The Hall needs regular maintenance and upkeep to stay a viable community resource. This document explains what is coming up for the hall. We appreciate the contribution the Shire makes to the hall's future. We like would to thank the members of the Hall Committee as their enthusiasm and care about this public facility that attracts the funding. Cheers! One of the attractive things about the Lake Tyers area is the number of volunteers who put into maintaining our public facilities. 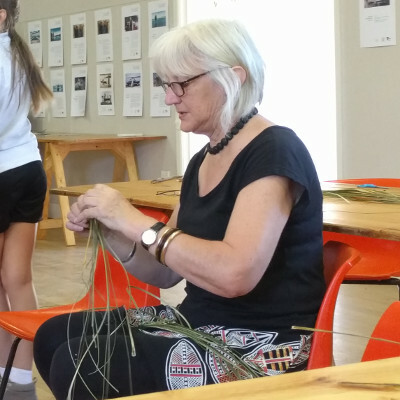 One of the important facilities is the Hall near the Toorloo Arm Primary School. 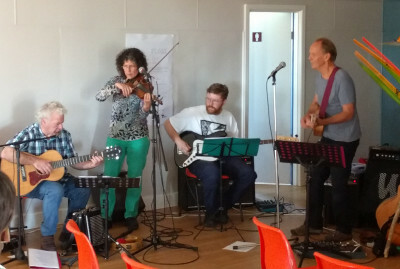 The hall has a management committee and working in conjunction with the East Gippsland Shire keep it running for the benefit of everybody. It can be booked by business or private individuals for functions, and provides a kitchen plus servery area with as well as a stage and two small rooms at the back. There are also internal toilets. 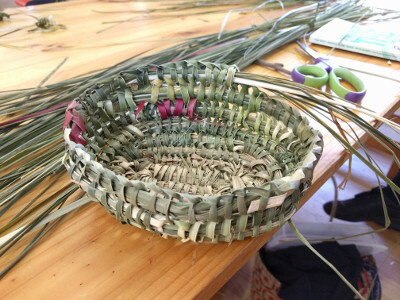 These images were taken a recent FLOAT occasion that was promoting the skills and stories around basket weaving and the local indigenous techniques. If you have an event or occasion you more room that your back deck, then consider hiring the hall. Every paid booking will help fund the maintenance and up keep and reinforce with other groups, such as the Shire, that this is a valued public resource.